In this book, 169 egg portraits from the inimitably eccentric collection are paired with biographies of each clown, revealing the bizarre, surprising and often painful story of their private and public lives. It’s a glimpse into a dying art form that continues to delight and terrify children and adults everywhere. 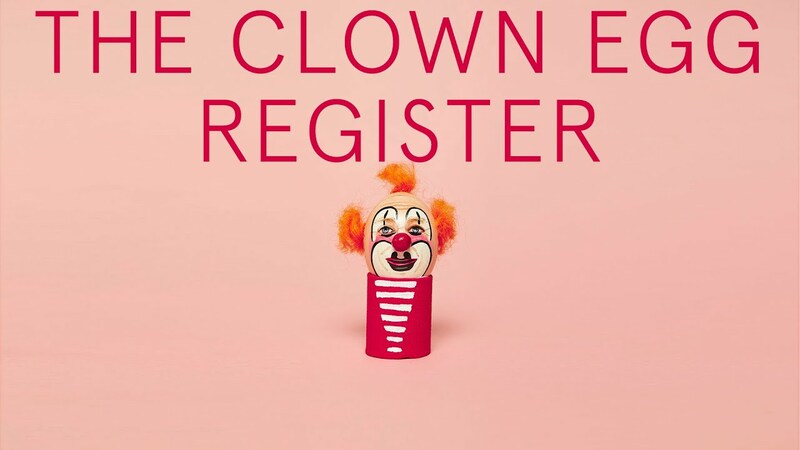 The Clown Egg Registry is a Collection owned by Clowns International which is the oldest clown society in the world. It began in the late 1940s by a man named Stan Bolt who started to record clowns painted faces on blown eggs, this developed into a register which today acts like copyright for each clowns individual painted face and has over 250 eggs in its collection and is still being added to. The collection is housed at Wookey Hole in Somerset.